Check out Tobi's Mesmerized By You Crop Top Get mesmerized in the Mesmerized By You Crop Top. Long-sleeve, turtleneck crop top in a marled knit fabric. Wear with flared jeans and a wide-brimmed hat. Get mesmerized in the Mesmerized By You Crop Top. 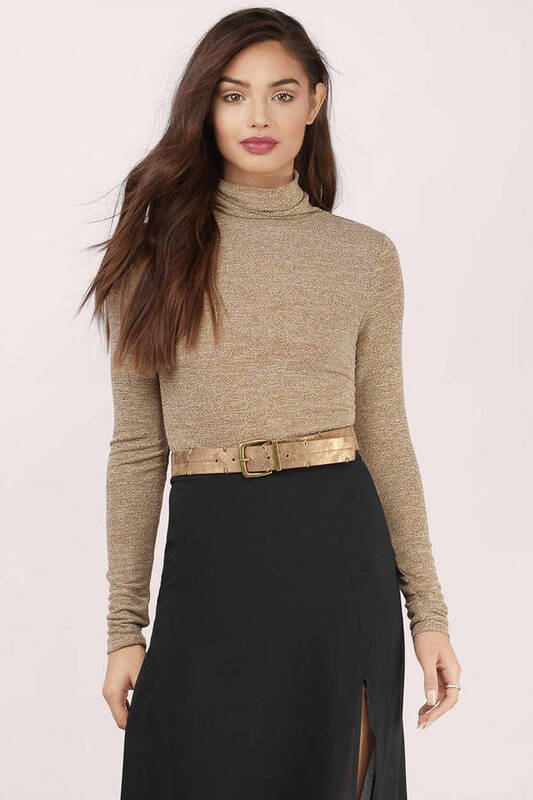 Long-sleeve, turtleneck crop top in a marled knit fabric. Wear with flared jeans and a wide-brimmed hat.